I´ve been teaching English for over 20 years.I like to share my experience with my colleagues everywhere. 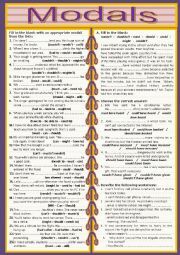 In this printable students look at the examples and express wishes starting with the words given. Hope your students will find it useful. Hi! 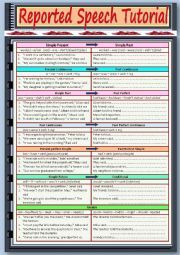 This is a two-page worksheet with multiple choice exercises about phrasal verbs, modals, linking words, and mixed tenses. A key answer is provided (the answers are underlined in BLACK). I hope it will be useful. This WS deals with generation gap and the media. It contains 4 comprehension exercises: true/false, sentence completion, word reference and vocabulary. Do Teenagers really Need Cell Phones? 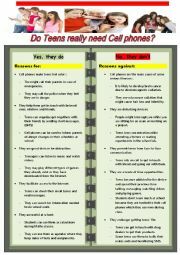 This is a worksheet I preapared for my students to help them write an essay about teens´ use of cell phones (for or against).I hope you´ll find it useful. 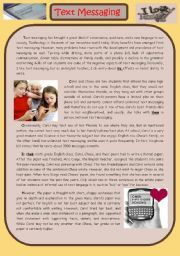 This text deals with the issue of text messaging (with a case study). There are 5 comp. 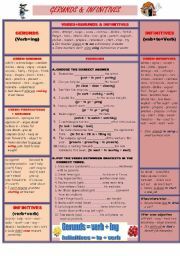 activities in addition to two grammar exercises. Hi everybody! 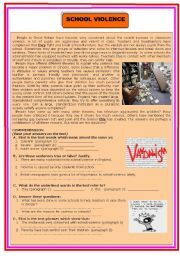 This comprehension worksheet contains a text about school vandalism. There are 5 exercises to be done by the students: vocab,T/F, answer the questions, word references ...A discussion can be carried out about the issue. Hope you´ll like it. This is the third worksheet that is meant to prepare baccalaureate students for tests and exams. 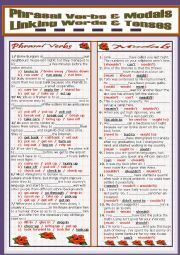 It contains exercises on phrasal verbs,word formation, linking words, tenses, rephrasing and vocabulary. A key is included. I hope it will be useful. Hi everybody! 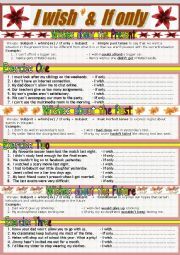 This worksheet aims at giving lists of verbs followed by gerunds or infinitives with examples. 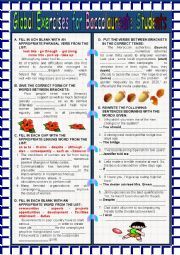 there are two exercises (multiple choice/writing the correct form of the verb) to check the students´ understanding. Hope it will be useful.